My Town Tutors is a website that connects parents with teachers who tutor. One of our teachers made $5,000 last year tutoring. 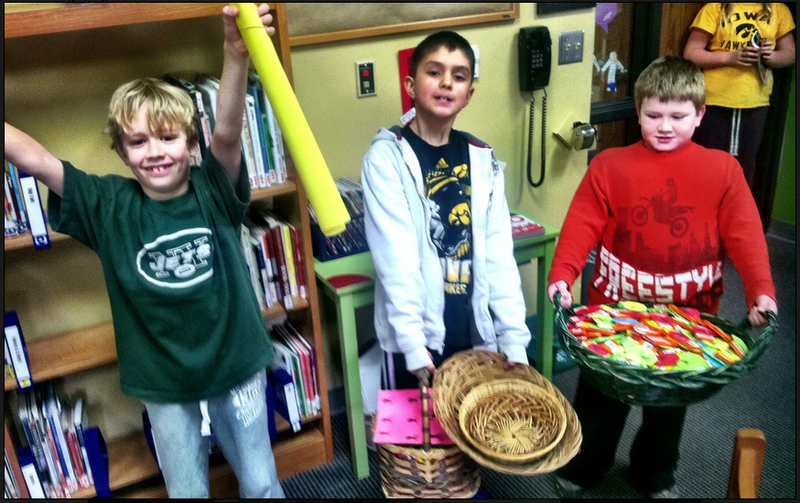 Celebrating “Bubble Gum Day” On February 7th With Our Friend Ruth Spiro & Amana Elementary! One of the best celebrations each year is Bubble Gum Day! We will celebrate on February 7th. This is a day that we all come together to celebrate the FUN of chewing bubble gum by donating 50 cents to buy a pack of gum and chew it on Bubble Gum Day. We sell hundreds of packs of gum and donate it to our favorite global reading event, LitWorld’s World Read Aloud Day in March. 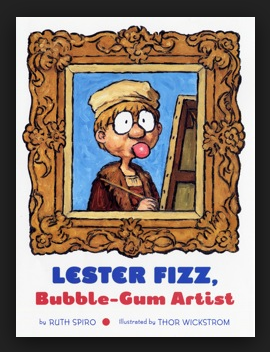 Ruth’s wonderful book Lester Fizz, Bubble-Gum Artist is always a hit in our library. Not only is it a wonderful story, the illustrations created by Thor Wickstrom are amazing too. We just love when Ruth reads it to all of us….What fun! 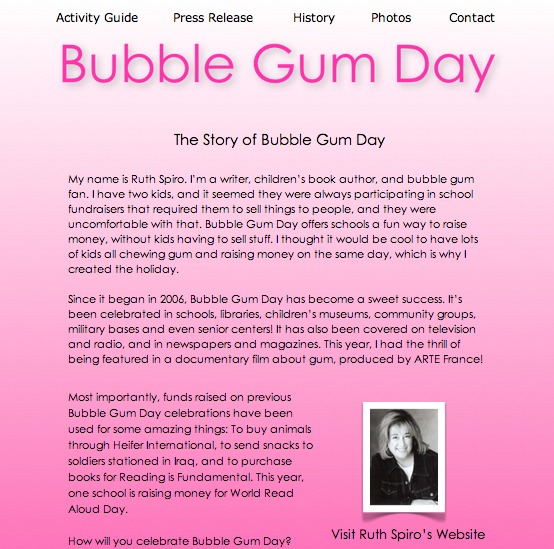 On the Bubble Gum Day website, you will find the story of this day and ideas on how to celebrate with your school and community too. 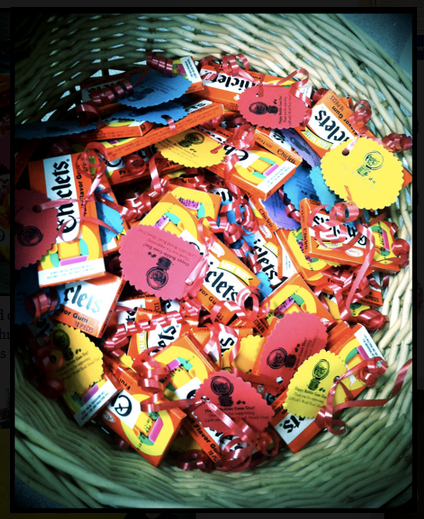 And remember…..this isn’t just for schools and libraries….Anyone can celebrate Bubble Gum Day! 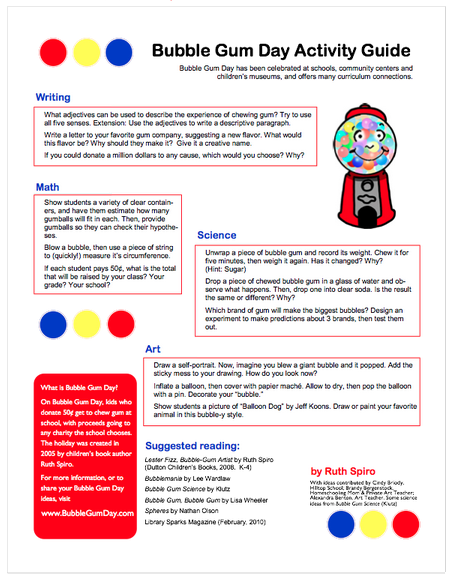 The website also includes an Bubble Gum Activity Guide….. It has been fun over the last several years to see the different activities we do in the classrooms and library at Van Meter. 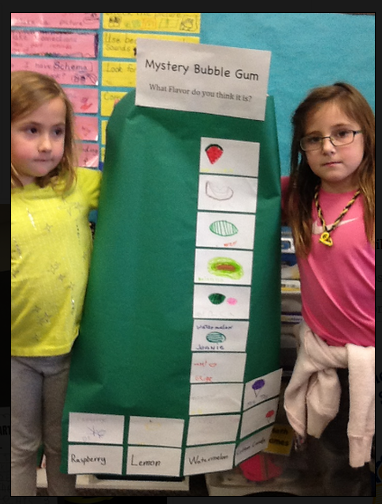 Last year my sister Heather, who is the librarian at Amana Elementary in Iowa, and her teaching friend, created a whole unit for Bubble Gum Day. I just love the activities they did. You can read more about our connection with them last year at this post. 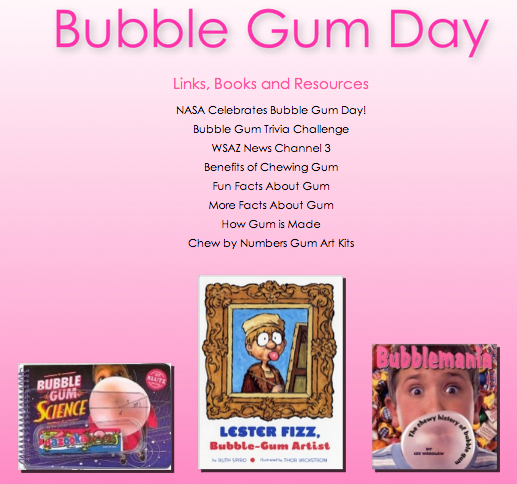 And check out this post, Two Libraries, One Voice Celebrate Bubble Gum Day for lots of ideas how John Schu and I celebrated Bubble Gum Day too. 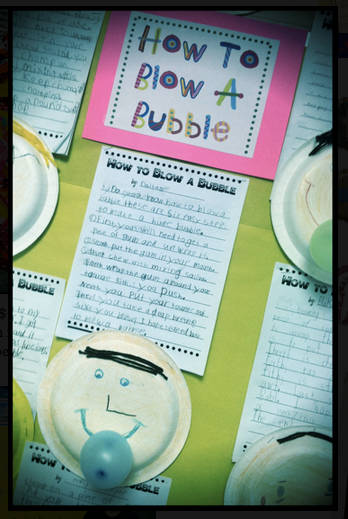 I especially loved what our 2nd graders created entitled How To Blow A Bubble. They do this activity every year. 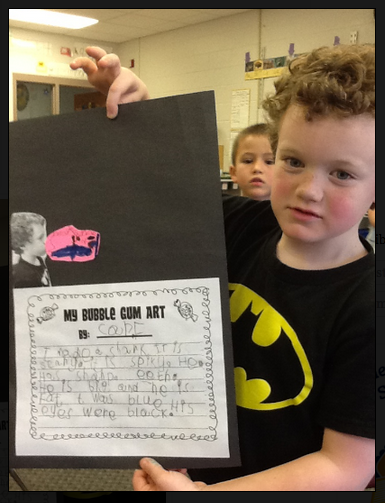 This year I am going to do the “Bubble Gum Art” activity that Amana did with their students….I think it is so cute with the photograph of themselves. I am brainstorming on how to work apps and photography into this one too. 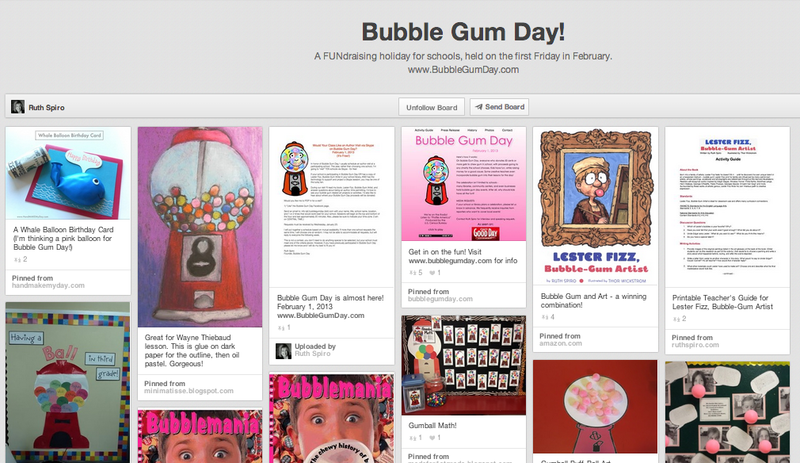 Ruth’s Pinterest wall for Bubble Gum Day is awesome! She has brought together so many cute ideas on this wall. 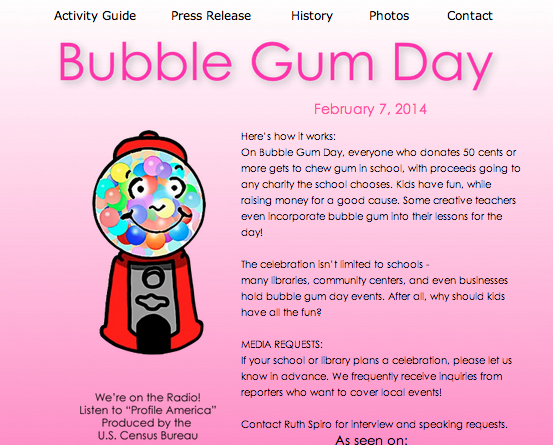 There are also lots of lesson plans and ideas for Bubble Gum Day online. 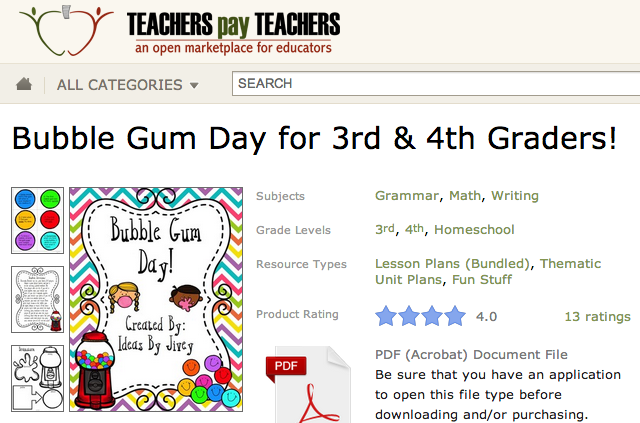 This one is an entire day of Bubble Gum Day lesson plans for grammar, math, and writing. It is very well done….I bought it tonight from TeachersPayTeachers. I am excited about the ideas it will give us at Van Meter and Amana. 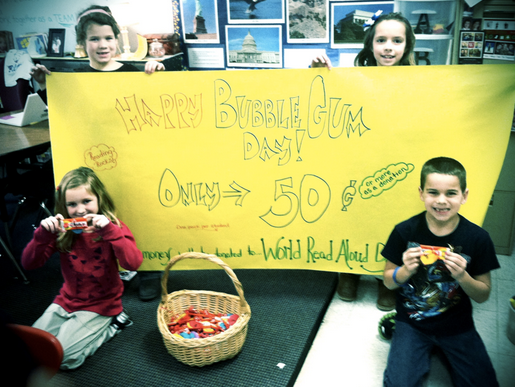 We hope you and your students, teachers, and community get involved and celebrate Bubble Gum Day too. It is a day that can make a huge difference with just a little fun…..and bubble gum. 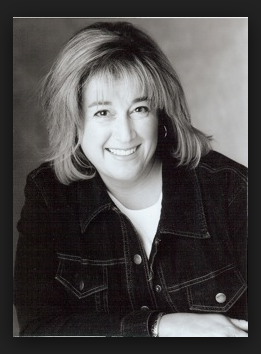 Shannon was also the recipient of our very first “Educator of the Week.” Please click here to read more about the incredible difference this educator makes.